Our attention has been drawn to a recent article by Paul Miller, partner at Bethnal Green Ventures. He recalls that in the midst of the financial turmoil of 2008 BGV decided to try something new. They brought together technologists and engineers with people who worked at the sharp end of social and environmental problems in ‘social innovation camps’. The fintech startup scene had yet to emerge and whole swathes of society, low-income households, people dependent on care, former prisoners, migrant workers, homeless people, refugees and asylum seekers had been poorly served by traditional financial institutions. 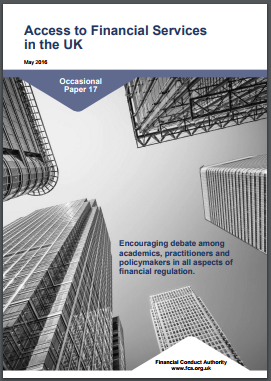 In a report, Access to Financial Services in the UK, the Financial Conduct Authority painted a bleak picture of how well the existing financial services companies are rising to the challenge. Paul says: “Fast forward almost ten years and a lot has changed. Now there is a huge startup scene in the UK and the tech for good community has mushroomed with thousands of people putting their technology skills to use, solving problems in health, education, the environment and democracy”. 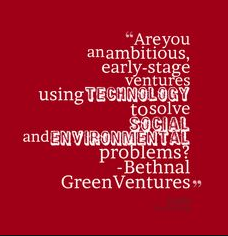 The FT reports that Bethnal Green Ventures is another early stage UK investor backing tech innovators addressing social problems. Since 2012, the company has helped launch more than 90 “tech for good” ventures through a twice-yearly accelerator programme. Funded by Nesta and Nominet Trust — the company’s founding partners — as well as the UK Cabinet Office’s Social Incubator Fund, these three-month programmes offer start-ups a £20,000 investment as well as mentoring in return for 6% equity. Investments include Dr Doctor’s appointment management service, which claims to save the NHS more than £1.2m a year by reducing the number of patients failing to attend medical appointments, and Open Utility, which plans to allow people to buy excess solar power from their neighbours instead of power stations. Bethnal Green Ventures holds meetings every few months for nearly 6,000 members, many of them working at banks or advertising agencies, but with an interest in donating their time to social projects at the weekend. Paul Miller, chief executive of Bethnal Green Ventures, says it has so far doubled the estimated market value of its investments. Enable excluded people to gain access to a bank account in the first place. There are an estimated 1.5 million ‘unbanked’ people in the UK and evidence suggests that some groups of people are more likely to experience difficulties proving their identity and/or their address in order to open an account. There’s no need to change the know your customer rules but new services are needed to help people identify themselves in a way that is realistic in their circumstances. Provide fair access to credit. We’re interested in new business models that help reduce risk (both real and perceived) in lending to groups that have found it hard to get loans in the past. Create high quality financial advice extended to previously excluded groups. The wealthier you are, the more likely you are to be offered financial planning advice, augmenting the assets of those who are already financially secure. There’s an opportunity to provide financial education and advice into new markets at low cost. Provide access to benefits and insurance that are relevant to the modern world of work. With the rise of the gig economy and changing patterns of work people need new ways of protecting themselves for when things go wrong or their circumstances change”. He ends: “If the fintech sector is to avoid the social pariah fate of the financial services sector following the 2008 crisis, it needs to take creating a positive social impact seriously. It’s not just about ‘doing good’, we believe that it presents a brilliant business opportunity as well”.